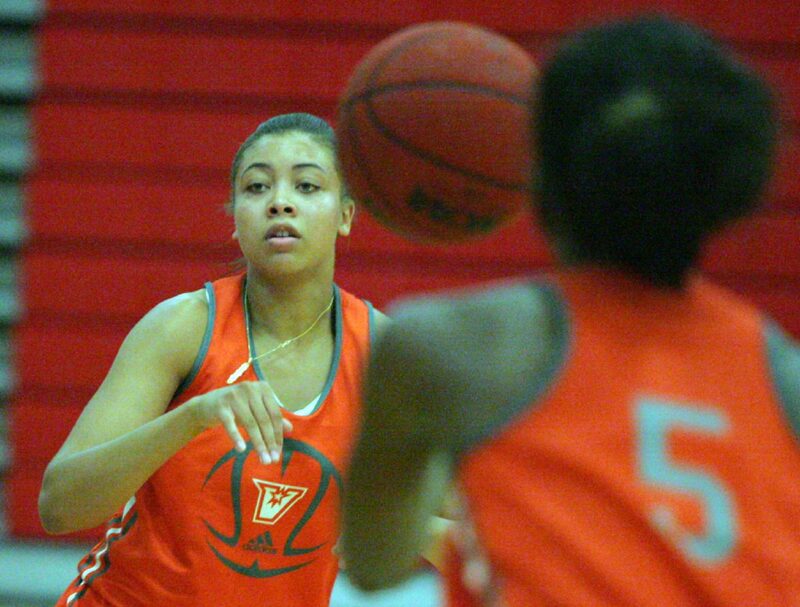 University of Texas Rio Grande Valley Nichele Hyman at basketball team practice at Sharyland Pioneer High School. EDINBURG — When UTRGV women’s basketball junior Nichele Hyman leapt in the air to try to grab a rebound during a preseason scrimmage against Texas State, she felt a player sweep her legs out from under her. As she crashed back-first onto the floor, her head snapped backward and smacked against the hardwood. Hyman later learned she had suffered a concussion — the third she’s been diagnosed with during her basketball career. The injury cost her UTRGV’s entire nonconference season, as she missed every game prior to Saturday’s WAC opener against UMKC. Hyman posted five points, two assists and two steals in 24 minutes of the Vaqueros’ 54-52 loss to the Roos, and she’ll be looking to build on that performance as UTRGV (10-6, 0-1 WAC) faces CSU Bakersfield (7-8, 1-0 WAC) at 7 tonight in the UTRGV Fieldhouse. Hyman fought through a medley of injuries last season, battling a shoulder issue, a sprained ankle and a concussion suffered when she clashed heads with a teammate during a preseason practice. She still played in 29 of UTRGV’s 33 games, but the concussion cost her about a month of practice time. She also dealt with a concussion during her junior year of high school, when a teammate inadvertently elbowed her and broke her nose. Hyman found that her symptoms were slightly different this time around. She was less sensitive to light and sound compared to last year, but her headaches were longer-lasting. She also took a different path to recovery, engaging in vestibular therapy, which mainly focuses on how the inner ear connects to the brain. Hyman said her treatment usually centered on vision, hearing and balance. Doctors told her that the recovery period from each concussion is expected to be longer than the one before, but she admits that the process took more time than she anticipated. Now back in the lineup, Hyman just needs a few games to find her rhythm again, coach Larry Tidwell said. 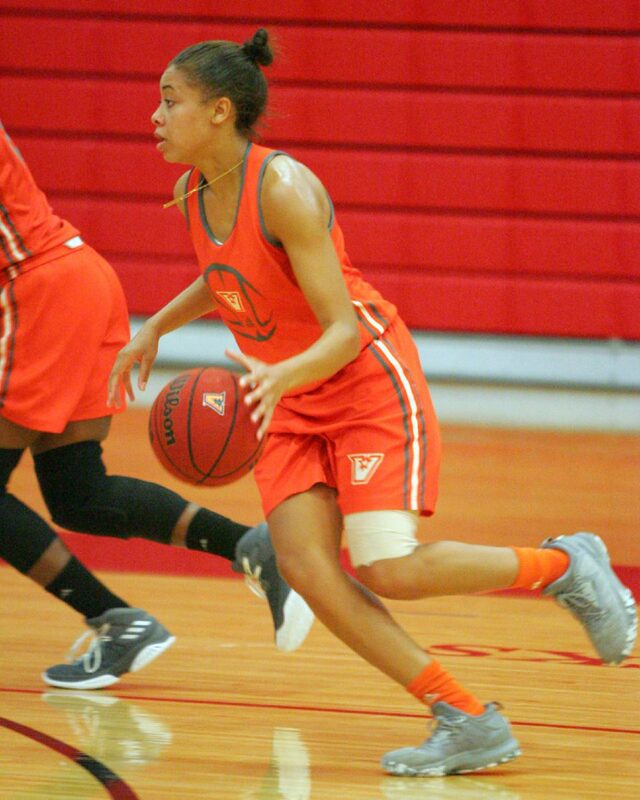 As a sophomore last season, Hyman averaged 4.8 points, 2.8 rebounds, 1.5 assists and 1.4 steals per game, and Tidwell said she represents UTRGV’s best option at shooting guard because of her ability to score and defend. Even while she was injured this year, Hyman tried to fulfill her role as a team captain by bringing energy and a positive attitude to practice, Tidwell said. During the final five minutes of Saturday’s game, Hyman showed her assertiveness on the court by attempting three shots and assisting on UTRGV’s final basket.